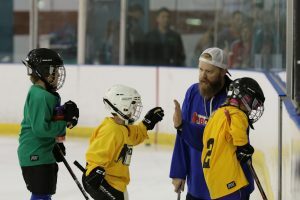 Learn to Play Hockey addresses players who first need skating skills and then a program focused on instruction and training that helps them learn the game and grow their skills. 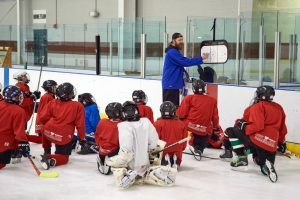 Once skating skills are established, our approach is based on USA Hockey’s American Development Model of practicing and playing ice hockey across the ice surface (Cross Ice) but now offers the opportunity to expand your game on an intermediate sized rink (Half Ice) and to ultimately polish it on the full sheet (Full Ice). The benefit of this approach is that it better groups players together by age and ability so they can develop skills and a love for the game so they can excel. Proof of USA Hockey Membership is required for all players. Players will be evaluated by coaches and placed in the appropriate program based on age, size, ability and experience. Please see our Levels Of Placement. Intermediate players will be placed in the appropriate class. Please be aware players will be evaluated by coaches on the first day and will then be placed in the appropriate program based on age, size, ability and experience. Ages 4-14 are candidates for this level. 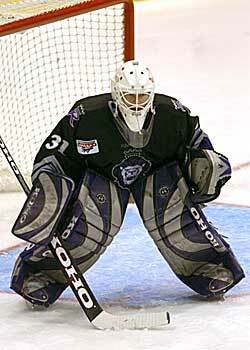 Intermediate players are placed in the appropriate class based upon skill level and experience. Learn to Play Hockey offers sessions year-round. Proof of USA Hockey Membership is required for all players prior to the first session. For helpful information on equipment and supplies for your young player, click here [fac_icon icon=”file-pdf-o”]for a Beginner’s Guide to Outfitting your Hockey Player.